Just as you all requested, a safety check with Peta Shepherd! 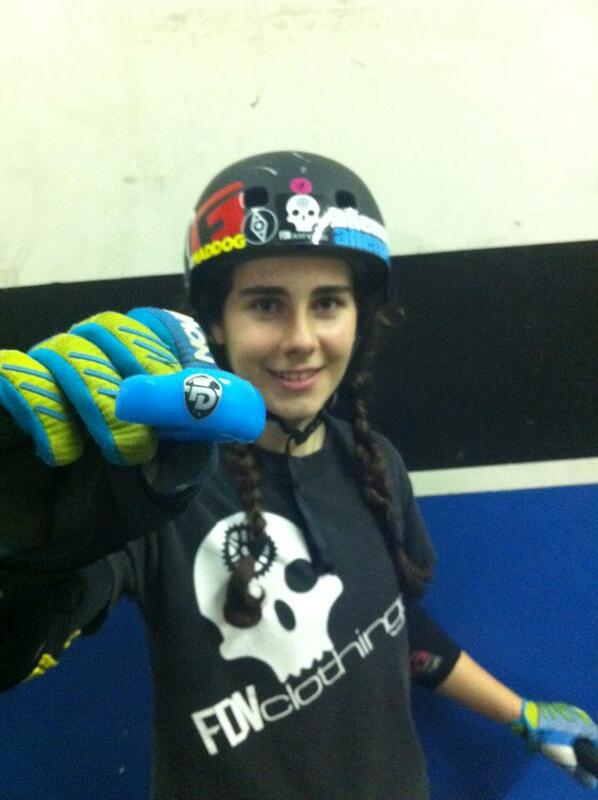 Check out her gear below and enjoy the new riding pictures taken by Angela Dobbie. Let us know who else you want to see a safety check from by commenting below. Ok, so I wear a fair bit of safety gear... I hate getting hurt! but love trying new tricks and try push my limits every time I ride. I'll start bottom to top. Shins - Fuse double padded shin pads. I love them! they just protect more of my legs for whips and front jams, a lot more then standard ones. Knees - Poc hard cap knee pads- they are pretty flexible, then when you land on them they go hard on impact to protect. 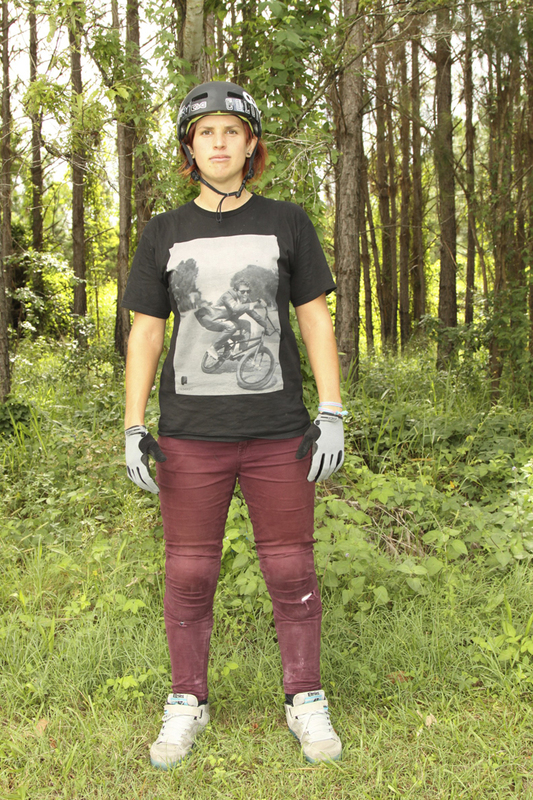 I wear skins on my legs under my pads, just so I can get changed at the park and to also help stop rashes from the pads. 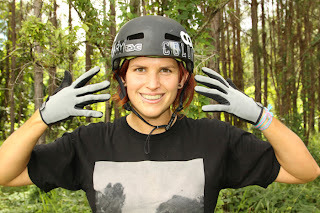 Hands - Fox Incline gloves- a thin great fitting glove, they come in girl sizes as well. Mouth - a mouth guard I had made at the dentist. My teeth are to most expensive thing I own, after knocking four out in 2011. Head - TSG Kraken- LOVE it!!!! best fitting hard shell helmet I could find and pretty light. It doesn't look that funny either. 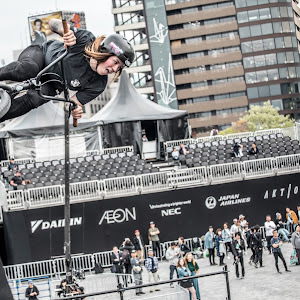 Last weekend I took a road trip down to Canberra for the Act jam. It's run over three day at three different parks and a final one on getto ramps set up at the backbone BMX store. It was and awesome trip, I love it down there. Heaps of girl riders and an amazing scene, can't wait to go back next year. I'm asking a few ladies to do safety checks, like a bike check but with helmets and pads. I'm curious to know what brand these inspiring ladies are wearing. I already know that Nikita is all about the G-Form :p , but who are you curious about? Who would you like to see a safety check from? While we wait for those answers, let's go in depth with Nikita Ducarroz. I'm definitely an advocate for safety gear. I'm covered pretty well when I ride and definitely have more respect for riders who promote wearing helmets because it really is an important topic. 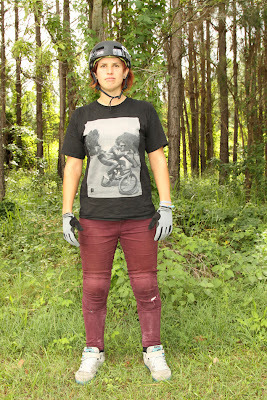 Here's a little rundown on what I am currently wearing when I ride, and why I like it. My mom got me a full face helmet back in August when I started learning flips, but since then I've started wearing it more and more during regular sessions, and always at contests. Yes, it's pink. It's not some mega-light carbon helmet, but for $130, it's pretty dang good. It doesn't feel too heavy and I was able to get used to riding in it very fast. Up until a couple months ago when I was not wearing my full face I was wearing, like many other riders, the Pro Tec Bucky helmet. 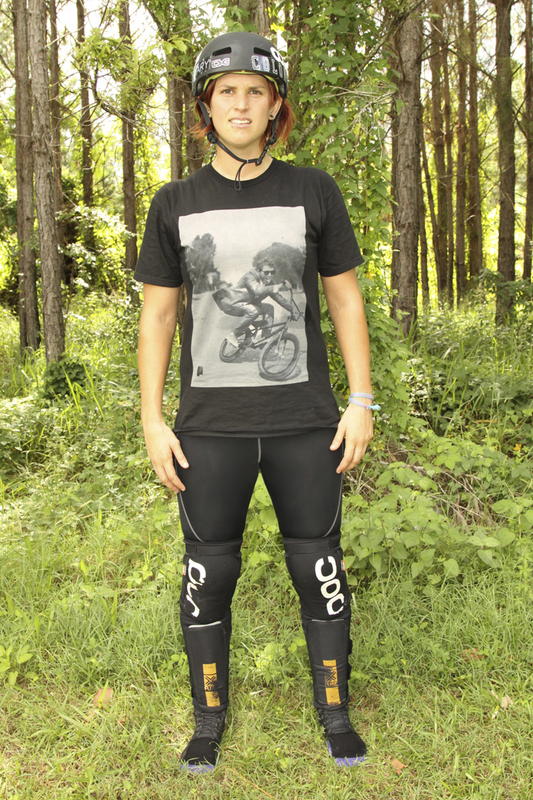 After Brett's crash, and all of the information on certified helmets started to really come up in the BMX world, I started looking for something as comfortable as the Bucky, and came back with nothing. Then I heard about the Bell Segment. A new helmet that was coming out that offered the flexibility and comfort that I was looking for, except this one was certified. I ordered that as soon as it came out, and was so happy that it was just as good as I had hoped. Been wearing that one ever since and hope that all of you other rider's currently wearing uncertified helmets will reconsider and spend a little extra money to get a certified one or even better, a full face….it's worth it. If you're Facebook friends with me you will probably know all about G-Form from my posts. I've been fortunate enough to be riding for them and always want to share them with the world because they really are that good. They are tiny like those cheater pads with a few differences: they actually protect as much as big hard shelled pads, and you don't feel like you are wearing anything. It can be hard to believe without trying them, I was skeptical at first, but was quickly proven wrong. These pads are taking over. For shin pads, I am wearing the Fuse ones. They are on the more bulky side, not too bad though. I wear these ones mainly for two reasons. Unlike most shin pads that have just the front part covered, these ones, specifically for BMX, have extra padding on the insides (covers your inner calf) as well where I tend to get hit a lot. They also have ankle guards built into them which I probably need a lot. I recently got hooked up with a sick custom mouthguard from Fight Dentist, owned by Dr. Adam Persky. I've been wearing boil and bite mouth guards on and off since August but wasn't too stoked on them. For those who can afford it (remember it's going to be cheaper than medical bills) a custom mouthguard makes such a HUGE difference. I got mine back and the fit was amazing. Previous mouth guards made my mouth sore trying to keep it in all the time. I had to pull real hard to get this new out and it felt like part of my mouth. I keep wearing it around the house much to the annoyance of my mom whenever she tries to talk to me. Some might not consider gloves "safety gear" but I hate to ride without them. They really do protect my hands, and not just from getting blisters. I really like my Novik Gloves because they sort of just feel like a second skin (the thin one's they have are called T.E.Cs.) For those of you who don't like bulk those are great, and for those of you who like more fabric, they have thicker ones as well. This might sound crazy but I feel like I hurt my fingers more when I don't wear gloves so I pretty much always have them on. Make sure to follow Micki Stephan on facebook and wish her a happy birthday today! 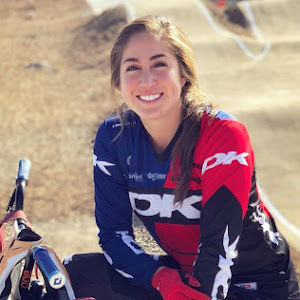 Every time this inspirational rider gets on to her bike she has obstacles to face that the rest of us never have to think of and yet her attitude is one of the most positive I've met! 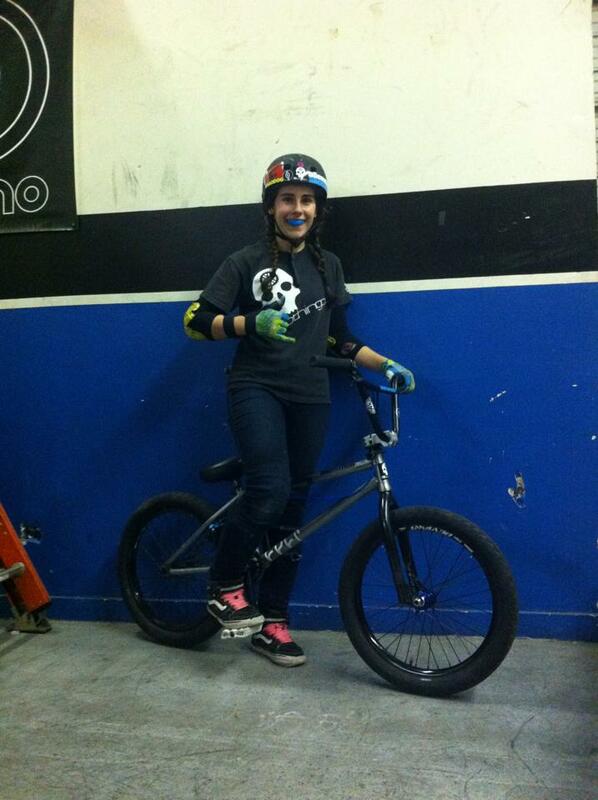 Keep riding Micki, we can't wait to see what you do! Happy birthday from Magnolia! 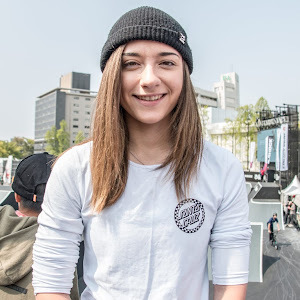 I started riding BMX when I was 15. My older sisters boyfriend at the time, did it and I always thought he was the coolest, so he got me a bike and I started tagging along with him. I first started with street then park. I developed a love/desire/passion for it... for the community of it, for the wheels under me. I would ride at 5:30 in the morning before school just to get that stress relief and serenity. 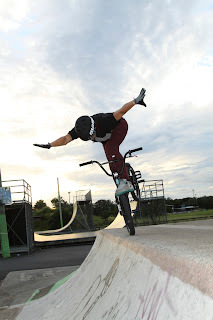 About two years ago, when I was 24, I picked up flatland. I fell in love...I was born 100% deaf in my right ear and have only 75% hearing in my left. My equilibrium is non-existing, so the challenge and difficulty is 3 times of a normal person but that gives me an escape, a way to prove myself wrong, a way to challenge a 'disability'. I get to create my balance point... I have to view it from a totally different perspective than the average person. I love it. I love the challenge and the reward. I don't ride to compete, I don't ride to be the best, because I am only competing against myself to be my best. I've met some amazing people along the way; Dominik Nekolny, Joe Miller, Alan Young, Terry Adams, Matt Wilhelm, Fat Tony and many others. I love bikes so much, and all kinds. I have now been a bicycle mechanic for two years... It's my dream job :) I went to two schools UBI and BBI, the journey has been rad. The whole 'being a girl' factor will never stop me. I ride bikes and work on bikes because its a family...one that only the other ones in love with it will ever understand, bikes are my life. Flatland is my happy place. Brooke and Katelyn recently did a trip out to Chicago, check out her update and pictures below. I live about 2 hours from the city which isn't bad, especially when I also live close to a train that takes me into the city for cheap! 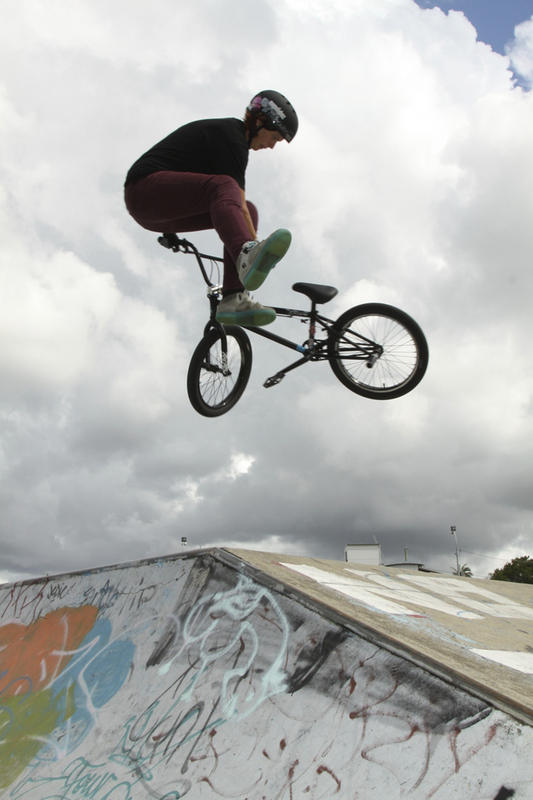 We met up with a few friends and road Wilson skatepark, which is a concrete park right off of the lake. We rode around, took some photos and then headed to the famous sea wall, which you may have seen in The System DVD. On the way back to the train station to go home, we ended up bumping into a big group of kids having a dance-off right off the pier. I showed them a few moves of my own (laughing). Chicago was such a fun time, there is always something going on in the city and you always bump into people you may know.